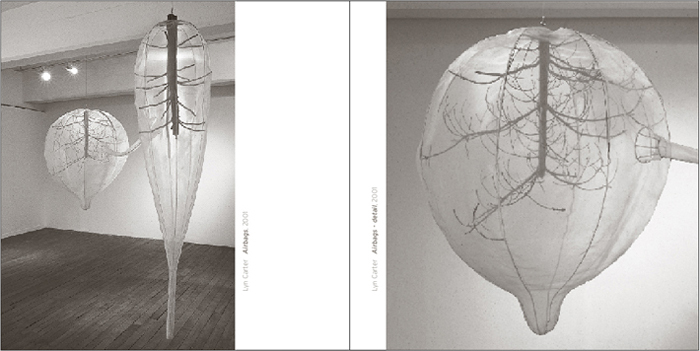 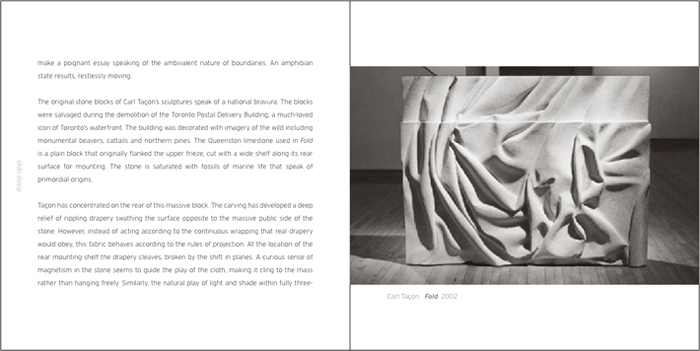 OAAG Award Winner (Ontario Association of Art Galleries) – Merchant Capital group, catalogue under 32 pages. 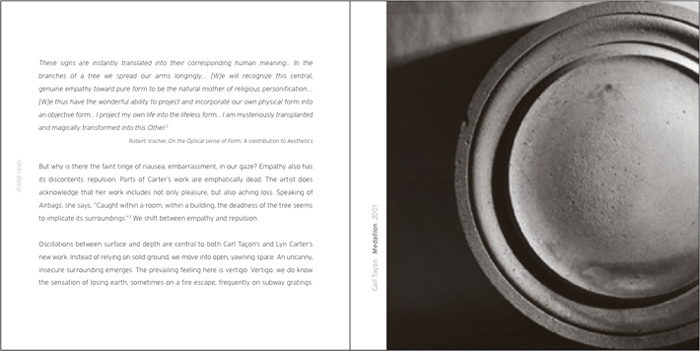 “Surface can be deceptive.” Thus Lyn Carter and Carl Taçon state a basic truth of their artwork. 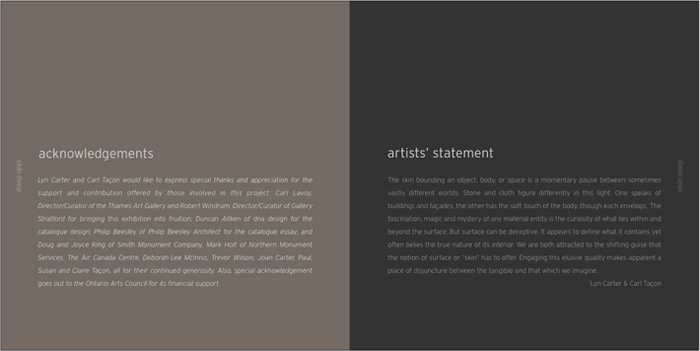 Taçon’s stone skins and Carter’s fabric surfaces work in counterpoint in this exhibition. 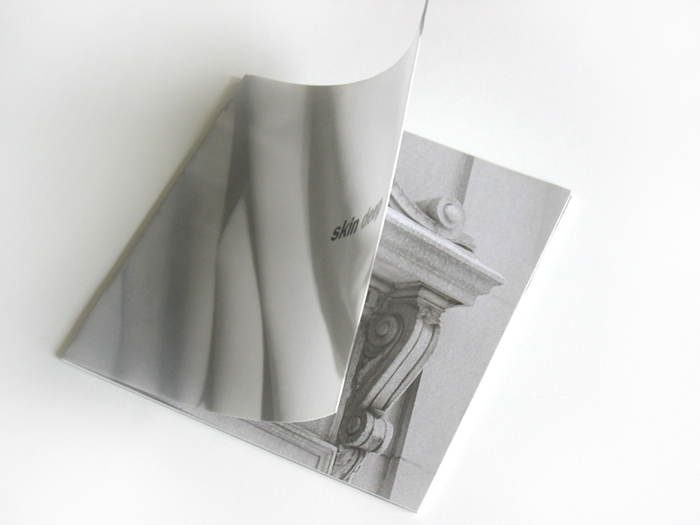 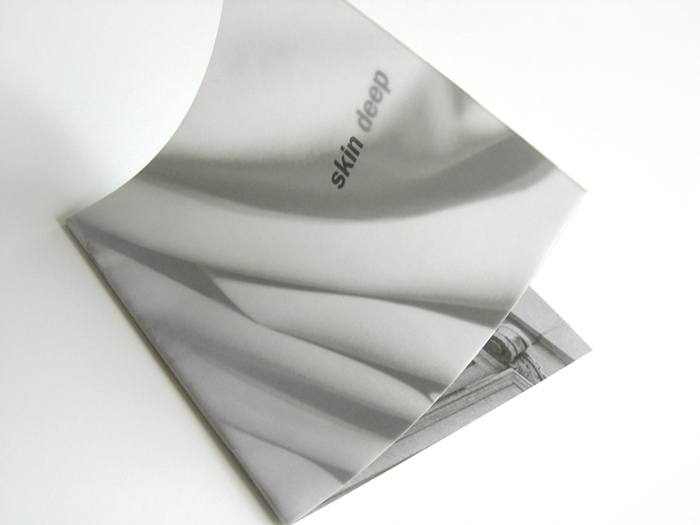 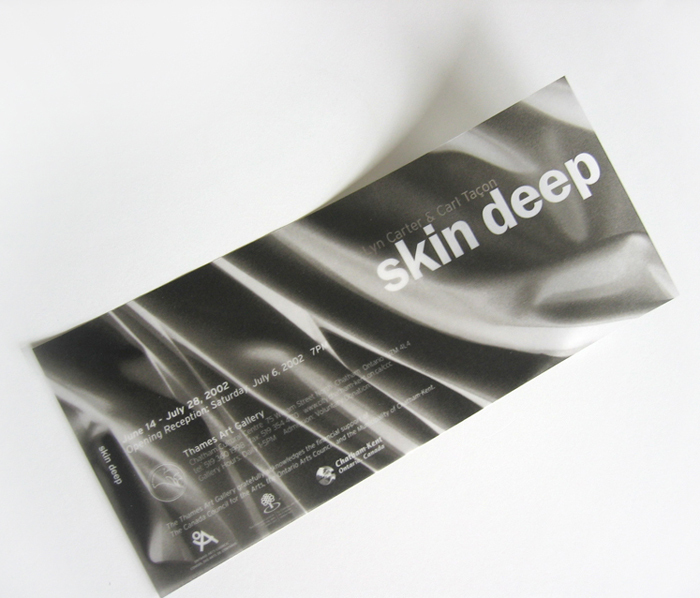 DNA’s interpretation for the catalogue of “Skin Deep” bends the perception of surface and depth through the clever use of type on layered vellum overlaying architectural imagery – mirroring the essence of Carter and Taçon’s work. 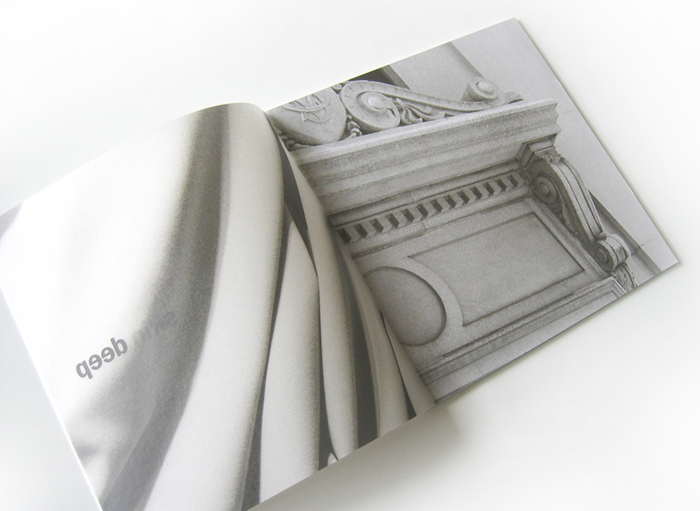 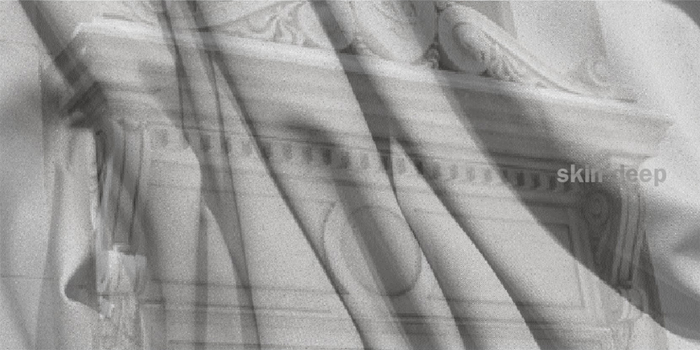 Images of stone and fabric treated in soft matte grey duotones on paper are juxtaposed against the skin-like textured vellum. 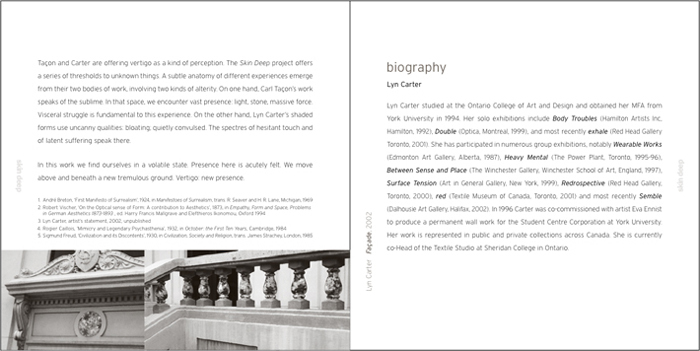 The exhibition catalogue is a collaboration with the Thames Gallery of the Chatham Cultural Centre and Gallery Stratford, Stratford.